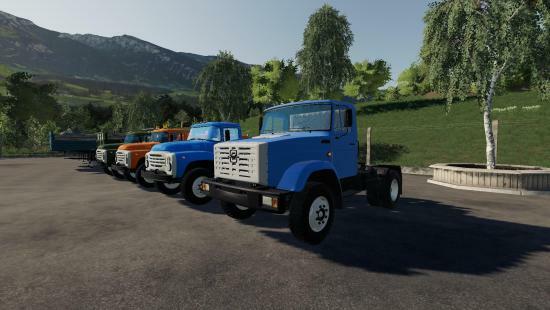 Pack includes: Trucks: – ZIL – 442160; – ZIL – 4415A; – ZIL – MMZ-554 modular; – ZIL – MMZ 554. Trailers and tanks: – GKB – 819; – ODAZ – 885; – ARUP – 8; – ARUP – 8R; – ARUP – 8 universal; – Module – fuel barrel; – timber truck; – Cattle truck; – Barrel for milk; – Module – sprayer; – Module – fertilizer distributor MVU; – KAZ-717. 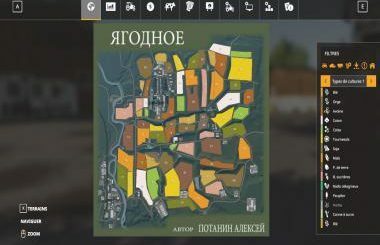 Changes v2.7: – Updated semi-trailer timber; – Added module – sprayer; – Added module – fertilizer spreader; – Added semi-trailer KAZ-717.